Able Fax Tif View is a FAX, TIF (TIFF), PDF, EPS, PS, AI, DCX viewer, editor and converter, offers you a full solution for viewing, editing, printing, drawing, saving, converting. Able Fax Tif View can edit loaded images: extract, move, insert, delete, rotate, flip, invert pages, insert text, insert annotation, erase, correct. Able Multipage View is the Light version of the Able Fax Tif View. This version doesn't allow to edit files. Able Multipage View is a FAX and TIFF viewer, converter, offers you a full solution for viewing, printing, saving, converting. Able Tiff Annotations is a FAX, TIF (TIFF), PDF, EPS, PS, AI, DCX viewer, editor and converter; TIFF annotations viewer and editor. 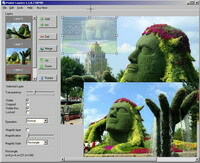 Able Batch (Image) Converter allows to easily convert multiple graphics files at the click of a button. 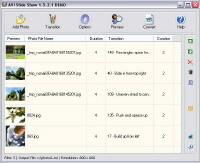 Able Batch (Image) Converter can take any number of images in any format (over 90 file formats supported) and convert them within seconds to any of the twenty most popular formats. (file by file), batch (many files at a time) and command line modes. Input formats: DXF, TIF, TIFF, JPG, JPEG, JPE, JP2, J2K, JPC, PCX, BMP, DIB, RLE, PNG, WMF, EMF, TGA, TARGA, VDA, ICB, VST, PIX, PXM, PPM, PGM, PBM, ICO, CUR. 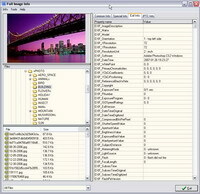 Output formats: JPG, TIF, PCX, PNG, BMP, TGA, WMF, EMF, GIF, PXM, PPM, PGM, PBM. It is need for archiving, presentations, electronic document transmission, forwarding of simple drawings, eliminating scans, protecting intellectual property, creating thumbnail images, inserting in different documents (Word, Excel etc), web publishing and printing. It can also create standalone slide shows, screen savers, web gallery and save captions inside JPEG, TIFF, TGA, GIF and others photos. 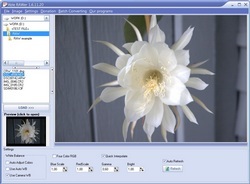 Easy Photo Slide Show is a program designed to display your digital photos and graphic files as a slide show using many transition effects. 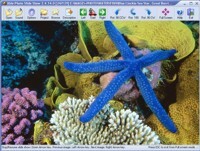 Easy Photo Slide Show is a light version of the Able Photo Slide Show. Free Photo Slide Show is a program designed to display your digital photos and graphic files as a slide show using many transition effects. Able Video Snapshot lets you take snapshots directly from your movie! This means you can go to any point within a video clip, capture a freeze frame picture, and save this image to your computers hard drive. DVD Snapshot lets you take snapshots directly from your DVD movie! You can add, insert, move, remove, rotate, merge layers etc. 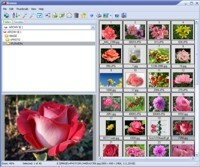 Full Image Info is an easy to use program targeted to view, retrieve and edit information about images and photos taken with digital cameras. Full Image Info can also provide detailed EXIF information about photos (model, exposure program, shutter speed value, aperture value, etc. ), IPTC information and more. 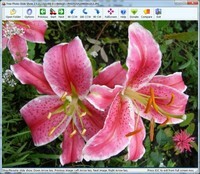 Able RAWer is an easy to use program targeted to view and correct RAW images (photos) taken with digital cameras. RasterVect can convert any raster images (BMP, TIF, JPG and so on) into a vector format. Raster drawing can be imported by scanning original paper drawings. There is TWAIN support for importing from any scanner. The target vector formats (DXF,WMF,EMF,EPS and AI) are supported by most CAD applications that use vector graphics, such as AutoCAD and Corel Draw. Now you have the ability to convert mechanical, electrical or architectural drawings done by hand into drawings that you can edit in your CAD program.